The steadfast players of Fallout 76 have had to endure a lot since the game's launch in November of last year. There was the rough state at release, the issues with the collector's edition, poor communication from Bethesda, and patches that introduced more bugs than they fixed. The fans remained hopeful though, finding the gold in the radioactive wasteland and dreaming of a future where Bethesda had fixed all of the problems that were tainting their experience. This was up until yesterday and the launch of Patch 5 for Fallout 76. Now, their patience strained thin, the fans of Fallout 76 are beginning to finally revolt. "Observably, factually, it is time for a change of leadership in Fallout 76 development," says DestinyHunter2018, author of one of the most upvoted posts on the generally-positive Fallout 76 subreddit. "I am not asking for someone to be fired. Mistakes can be redeemed; people can learn and adapt. It is high time for real leadership in Fallout 76 development. A very public, openly communicated change needs to take place. Because otherwise, this game is as good as dead. The reputation-deserved or otherwise, I won't even get into that here, except to say that the launch state is still not that of a finished, polished product months after release-was never good." The problems with the new patch come from a few different directions. The first comes from the heavy amount of nerfs to Perks like Demolition Expert and White Knight. Demolition Expert increases the damage of explosive items, while White Knight makes armor break slower, while also lowering the repair costs. The former is a key feature of many character builds, while the latter allows those who don't default to Power Armor in the endgame to continue to be viable. 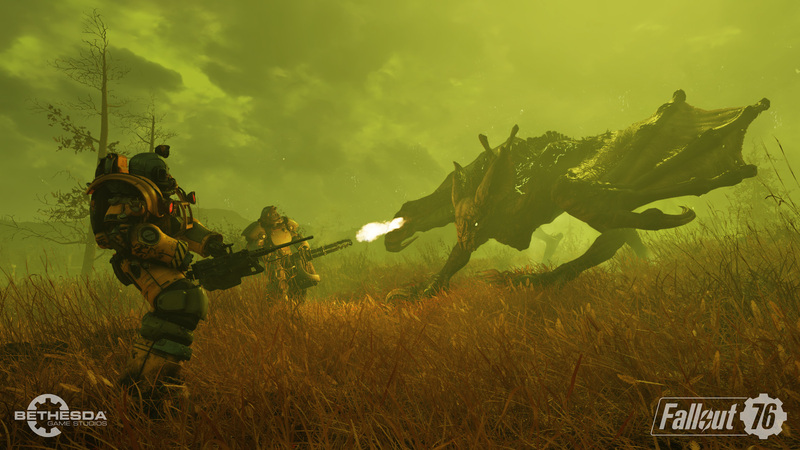 Legendaries like the Two Shot effect and Explosive mod were also heavily nerfed, because Bethesda noticed both could be combined to create a very high damage output. Players counter that Bethesda is nerfing many viable playstyles, while neglecting to buff weapons and perks that still have problems. The community has long pointed to Heavy and Energy as weapon classes that needed a severe buff. 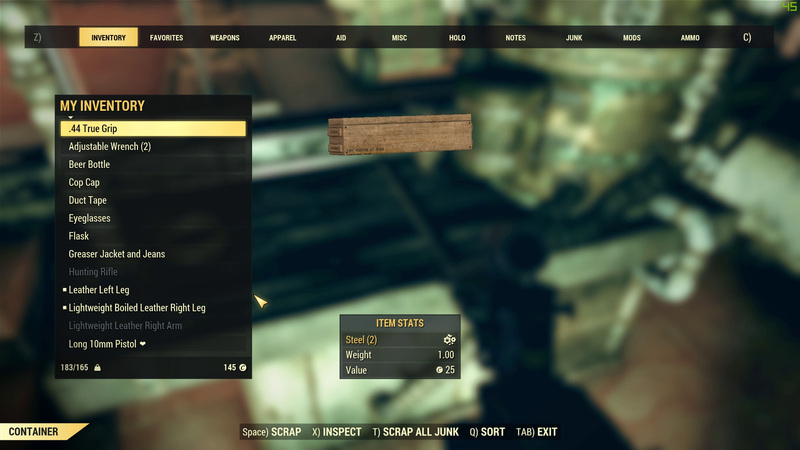 They've also noted that if Bethesda wants weapons to do less damage, weapon durability needs another look: using a weapon in one area requires a trip to a bench to make repairs, even with the Gunsmith perk. "I understand Two Shot and Explosive getting nerfed, not [Demolition Expert] also. Now grenades are not worth the weight. The nerf was so deep it killed my will to support Bethesda," says Redditor Signgorilla. "Heavy guns still break too easily, plenty of perks are next to useless. When they said they were going to rework some perk cards I expected more than them just nerfing existing perk cards into near uselessness. I expected some perks to be changed/made better. They're making the game more difficult without fixing key bugs that limit individual play styles. That is the issue," writes Redditor Jpwns93. A poster on the Fallout 76 subreddit noted that Bethesda should offer free respecs whenever perks undergo huge balance changes. This is a rather common offering in other massively-multiplayer online or online-only titles, allowing players to shift with newly-balanced character builds. One of the first patches for Fallout 76 infamously added bugs and lowered online stability, leading to more disconnects during gameplay. Despite the balance changes and list of tweaks, players are still running into stability issues, like the inability to move upon login or infinite loading screens. In addition, old bugs that were fixed in previous patches have returned. Bobby pins originally weighed 0.1 pounds. They were a useful item for lockpicking, but the weight made them too heavy to have a ton in your inventory. Bethesda rebalanced bobby pins to weigh 0.001 pounds, but yesterday's patch reset them to 0.1 pounds again. The return of the bug has players hazarding that Bethesda actually went back to an older version of the game. "I'm a pretty patient person, and have been willing to wait for improvements. But learning now that I'm going to have to find 30 lbs of stash/carry space just to deal with a bobby pin bug that had already been fixed broke me," says Redditor Pukunui. "Further evidence (beside bobby pin weight) that they just rolled back to a previous patch is that my powered doors no longer work. Interacting with the button doesn't open a menu, just like before the fix. I would love to say, 'this is getting ridiculous,' but it started out that way; now it's just getting sad," says another Redditor. 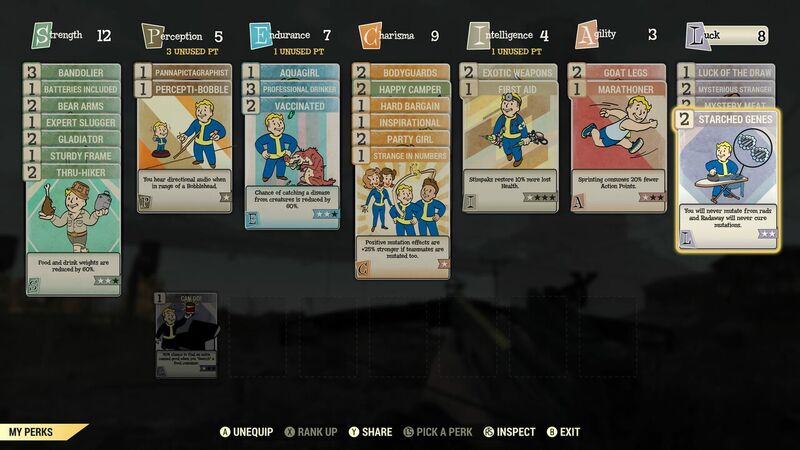 One member of the community noted that while Fallout 76 isn't in top shape, Bethesda continues to add new items to the Atom Store. These are cosmetic items purchased with real money, like unique costumes and armor colors. Another poster asked for a public test server before releasing full patches, another system that's common in titles like World of Warcraft and PlayerUnknown's Battlegrounds. Bethesda hasn't been entirely silent. Associate community manager Devann "Lady Devann" Winters has been very active on the Fallout 76 forums and Fallout 76 subreddit, attempting to address issues as best she can. Players did notice her outpouring of effort in regards to all of the complaints. "I've been reading over this thread trying to think of something meaningful I can say to ease the feelings of [the original poster], but I know it will all come off pretty empty right now. All I can say, Bobby, is we take this feedback seriously and to heart, and that we appreciate all the hours you've placed in this game and hope to see you back. You are not just a player but a member of the community and we thank you deeply for that," she says in regards to one thread. Despite that, most of the threads on the Fallout 76 official forums and Fallout 76 subreddit are negative right now. There were negative threads and posts before, but they were light in comparison to avid, fervent fans defending the game. Now, the tide has seemingly turned. In a previous article, I noted that Bethesda stuck with The Elder Scrolls Online, improving it over the course of two years to deliver an excellent MMO that lives up to the franchise name. Fallout 76 might turn out the same, but how much of the community will still be around then? "I hate to say this, but I think this patch is the straw that broke the camel's back for me as well. I've done nothing but keep a positive mindframe and outlook for this game," begins Redditor Belyal. "I'm just tired of making excuses for this game. I'm sorry Bethesda. I gave it my all and you clearly only saw FO76 as a means to try to squeeze our wallets and never seemed to really care about this game as much as the fans have. Hopefully this is only a 'see you soon' and not a goodbye." Tagged with Bethesda Softworks,	MMOs,	News,	PC,	PlayStation 4,	Shooters,	Xbox One.